HorizonTech introduces their Falcon Sub-Ohm Tank, a 25.2mm diameter, 5ml E-Juice capacity tank, with a threaded top fill system, POM drip tip, and an entirely unique coil system. HorizonTech introduces their new coil for the Falcon Sub-Ohm Tank, the F1 coil, which is a 0.2 ohm parallel coil head, rated at 80W, with a liquid guiding element of 70% organic cotton and 30% wood pulp, the F2 coil, which is a 0.2 ohm parallel coil head, rated at 80W, with a liquid guiding element of natural flax fiber, the F3 coil, which is a 0.2 ohm parallel coil head, rated at 70W, with a liquid guiding element of flax fiber and flax paper, and finally the M1, a 0.15 ohm mesh coil head, rated at 70W, with a liquid guiding element of 70% organic cotton and 30% wood pulp. 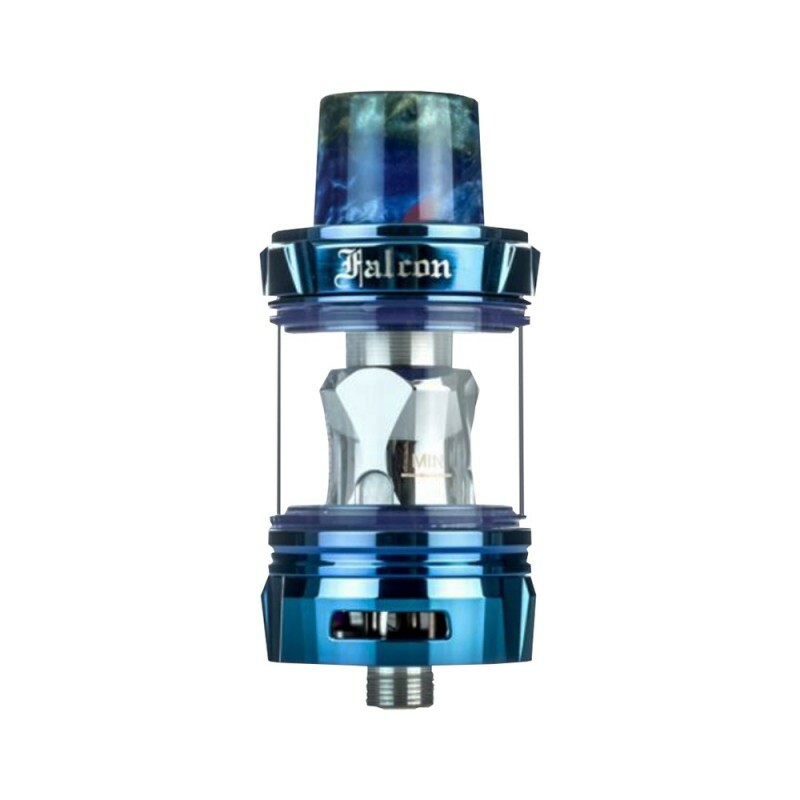 Airflow enters the Falcon Sub-Ohm Tank via dual adjustable bottom airslots measuring at 14mm by 3mm each and can be fully closed. Included with the Falcon Sub-Ohm Tank is a 7mm bore proprietary delrin drip tip and a spare parts pack. 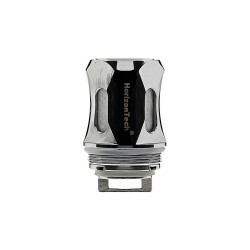 HorizonTech's Falcon Sub-Ohm Tank is new and intuitive yet maintains much of the same functionality that made the tank so renowned.